← This is beautiful, but it would be even better with a herd of buffalo! The hay roll, what a wondrous creation. Of all recent innovations in agriculture, it is my favorite. I say this not as a farmer, but merely one who appreciates the agricultural landscape. Hay rolls sit like Musk Oxen upon the newly mown meadows, tilting to one side and the other, sleeping, grazing, defining the meadow’s curve. Spaced just so, catching light, casting shadows, they make an ordinary hay meadow into an instant Stonehenge. Left for a season, hay rolls slowly deliquesce, weeping shed grass back onto the meadow, slumping, weathering to gray. A huge hairy hotel for voles, a hunting stop for foxes, a lookout for harriers, owls. So ancient do they look, evoking the haystacks in Monet’s paintings, that I always have to remind myself that the machinery to make hay rolls has been in use for only a few decades. It’s largely replaced the old square baler that spat out bound dominos of hay to be picked up by sweaty farmhands the same afternoon. I always groan when the hay rolls are finally gathered up and wrapped in white plastic, lined up obediently along the road to be loaded and used, no longer to grace the meadows of morning. 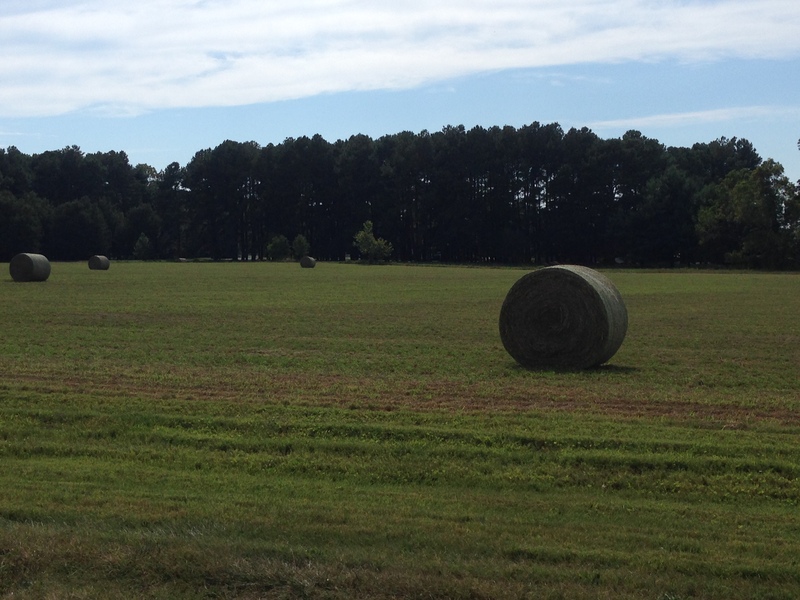 This entry was posted in Maryland's Eastern Shore and tagged hay rolls. Bookmark the permalink.